The Dragon Strand Medium Atrium screen chameleon cage was specifically designed to have the dimensions that would allow it to be suitable for a chameleon for its whole life. 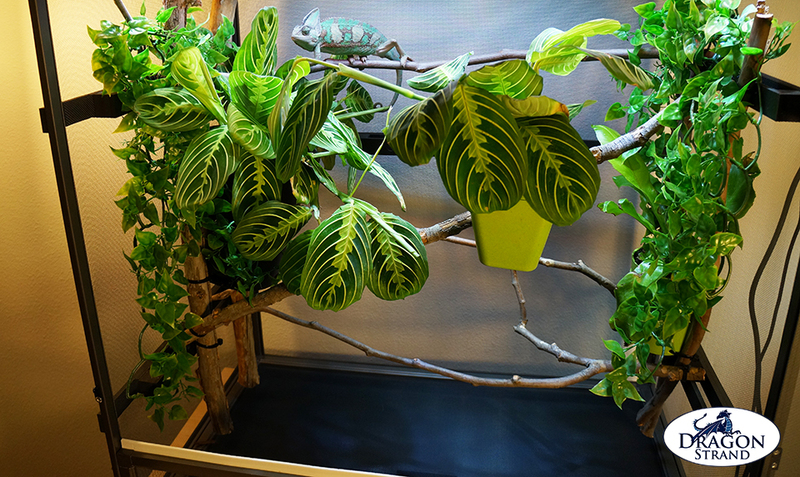 The square width x height makes it comfortable for an adult male panther or veiled chameleon, while keeping the entire cage accessible to a three-month old baby. Drip Easy* Screen Floor Drainage System. 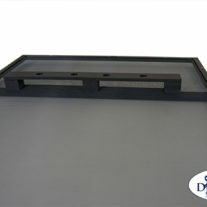 A screen panel option for a floor. 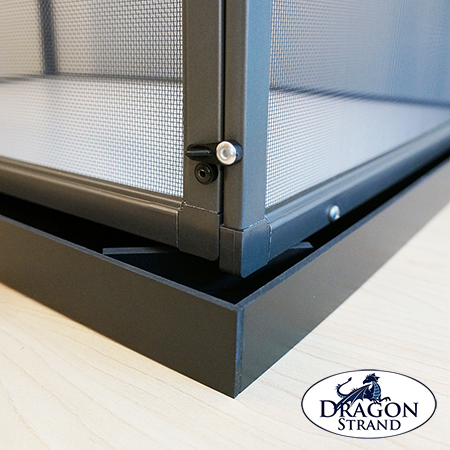 Dragon Ledges: These anchors provide support for branches and potted plants along the screen wall with no stress on the screen. 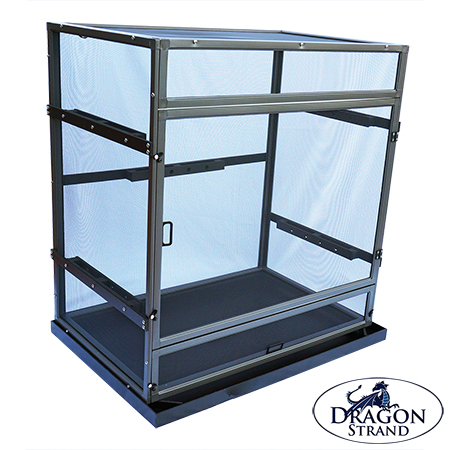 Please refer to this Advanced Chameleon Cage Set-up to learn more about the Dragon Ledges. 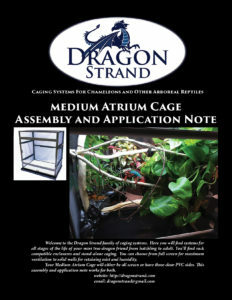 Each Dragon Ledges pack for the Atrium cage contains four ledges for the sides and one ledge for the back giving you the ability to create branch highways throughout the cage. 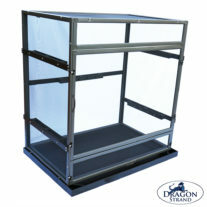 The Medium Clearside Atrium Chameleon Cage gives you the same dimensions as the screen cage, but with the front, back, and right side clear PVC. The left side panel is screen to maintain ventilation. 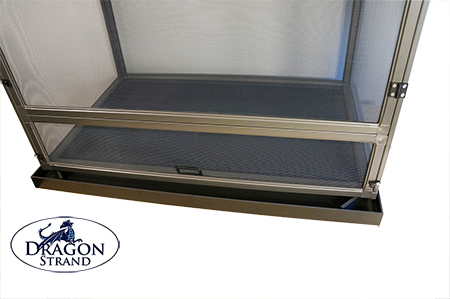 The Medium Clearside Atrium Chameleon Cage comes with five Dragon Ledges (two per side and one across the back) and the Drip Easy Drainage Tray (Drainage Tray + screen floor option). The Clearside version is build to order so please allow for two weeks between order and shipping.